Świdnica is beautiful place located in the heart of Europe , in the Southern - West part of Poland. In the center of region (located 50km from Wrocław, 30km from the A4 highway, 150km from the German border, 40 km from Czech Republic.) There is also a passanger and freight railroad station. According to the Central Statistical Office of Poland in 2017 Świdnica County had about 160 000 people (one hundred sixty thousand), 61% of which was the working age population. Avarage gross salary was 4 300 zł per month. In 2017 unemployment rate reached 6,8%. 13 thousand unemployment people live in a distance of 30km form Świdnica. They are waiting for a job. 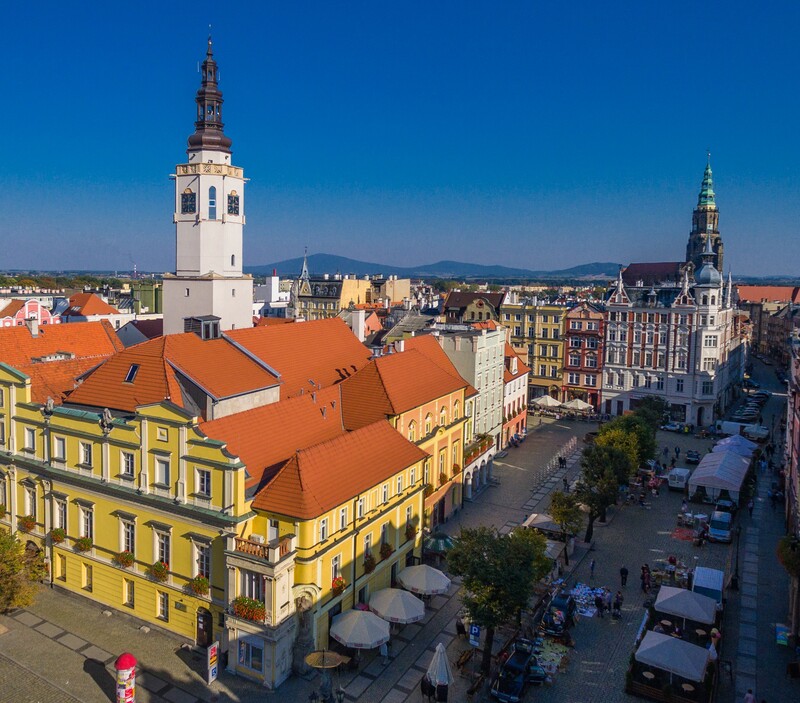 More than 8 000 businesses is registered in Świdnica. Our city is characterised by the diversification of production services. The most popular fields are: household appliances, cosmetics, automotive industry, motor vehicles, metal products, gas industry, industrial packaging, electricity and founding. Here you can see some of those companies which trust us: Electrolux – electric household appliances (stoves and ovens), Solgaz – they have a unique on the worldwide scale patent for a flameless gas stoves, Krause – ladders, Cloos Poland – robotnic welding stations, Klingenburg – refrigeration equipment, RST Software Masters – IT company, Zupbadura – steel structures for the needs of the petroleum market, Sonel- instruments for measuring electricity, Ideal Automotive – floor mounted for cars, Greenbrier Europe – freight railway wagons, AMS – assembly Line, tools, Nifco / AAM– automotive, Pebek – construction (concrete cubes), IMP Comfort – textile products, Colgate – cosmetics chemistry. And there are still available investment lands. On the left – Pogodna Street with the area of 4,79ha. On the right – Kopernika Street with the area of 16,8ha. Świdnica has 4 secondary schools, 7 vocational schools (which aim is to prepare young people in the field of: mechatronice technician, machine tool operator, IT technician). For many years Świdnica bets on vocational education. We are perfectly aware of the need of market in qualified workers, that’s wh y from 2016 we implement the program called „Stay with us – city and county of Świdnica”. The program is a kind of ecosystem surrounding Świdnica, which shapes the relation between public, business and academic entities. Every year over 600 cultural events take place in Świdnica, including: International Bach Festival, Krause Rally Or RST Świdnica Half Marathon. Moreover, Świdnica has rich history of over 800 years and it’s full of significant monuments such as the Church of Peace (which is on the UNESCO heritage list) or The Cathedral. All those factors build an ecosystem, where local authority, business and academic entities shape Świdnica as a place perfect to invest in.